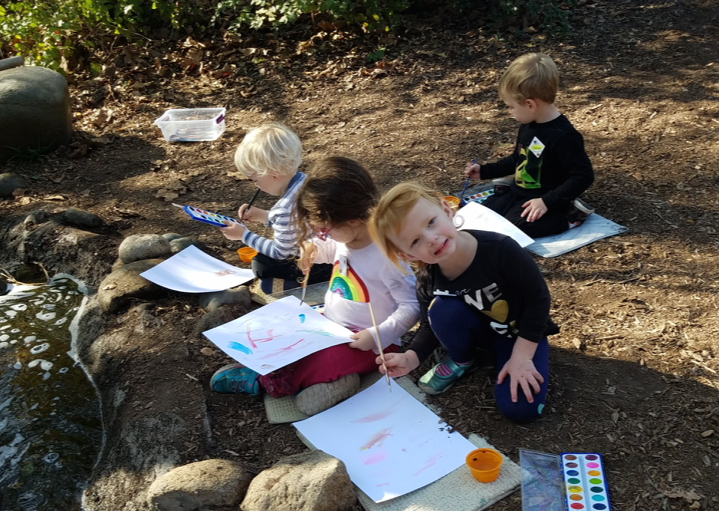 Each day Little Naturalist Campers will be led by an ENC Naturalist for a hands-on nature based outdoor play curriculum filled with adventure experiences and learning activities. Little Naturalist campers will be provided with a morning snack each day and if attending for the full day an additional afternoon snack. How old does my child have to be to go to Little Naturalists Camp? 3 – 5 years old. I have elementary aged children, can they be in the same group with my preschooler? Our Campers are divided into groups by grade level. Little Naturalist Camp is for children age 3 – 5. Nature Adventure camp is for students entering Kindergarten through 3rd grade (in the Summer) or through 6th grade (during the school year). Curricula and activities are designed for these different age groups, which are developmentally distinct from each other. I am worried about leaving my child at Camp. May I attend with them? Little Nature Camp is an opportunity for children to learn about nature in a unique and safe environment where they can practice and build developmental skills such as language, problem solving, physical adeptness, and self-competence. Part of that developmental process is learning how to listen and learn with new teachers, build new relationships with peers, and get an opportunity to practice independence and separation from parents. Children will develop skills in handling changes, challenges and decision-making- which are all important foundational life-skills. How many campers are in each group? Enrollment is limited to small classes of 12 students per teacher with a high school assistant. Who are the Camp Teachers? Little Naturalist staff are Naturalists with an early childhood background. High School assistants may also be included with additional staffing.